Jason Jones finally admits he coded the infamous Halo CE Pistol's strength. Bless him for it! 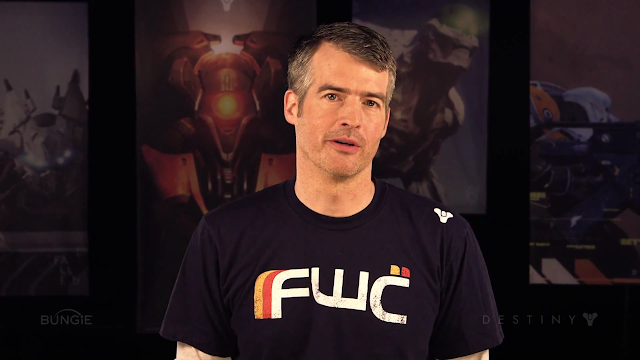 Jason Jones has crawled out of his cave where he masterminds Bungie’s epic quest to take over the world to do an interview with IGN. The most intriguing takeaway for me was the discussion Jones has with IGN about his involvement in the strength of the infamous Halo Combat Evolved pistol. IGN: This leads me to one of the most pressing questions on my list. Doesn’t this prove the legend of the Halo 1 pistol, which suggests that Jones personally – and secretly – upped its damage at the tail end of development in order be better at his own game? “There was a moment towards the end of Halo 1 where we were very close to locking down. The balance on the pistol was such that both in the competitive game, but also in the solo game, it wasn’t where we wanted it to be. It was too late to change the… Well, we didn’t feel comfortable actually changing the data anymore. The game was so locked down that when you changed a piece of data, gigabytes of crap had to be reprocessed. Jones sounds like a very humble guy - he certainly doesn't come across as a 'look at me!!!' type like Cliff Bleszinski used to (Cliffy reined himself in a bit in recent years to his credit).